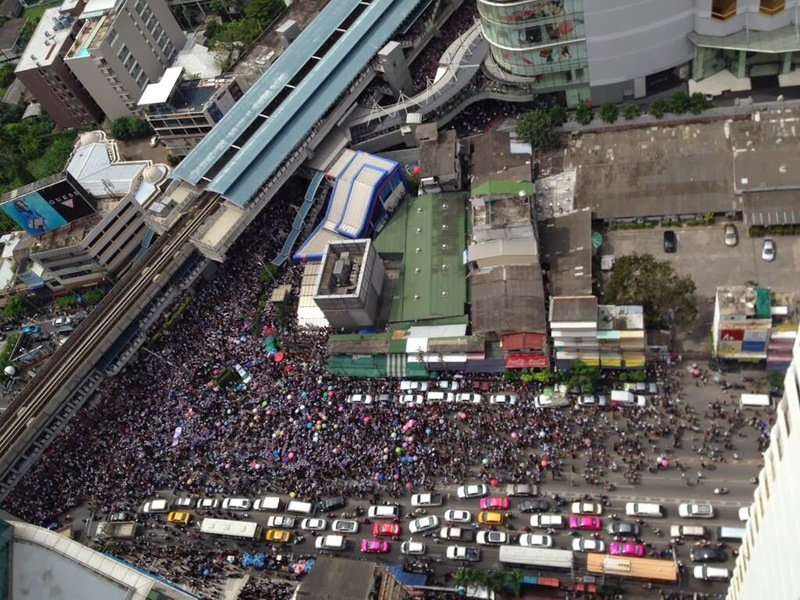 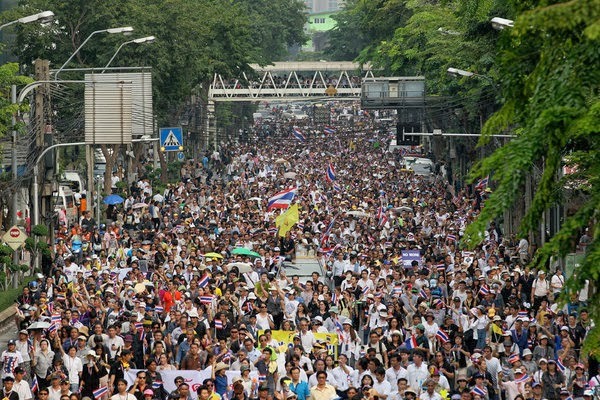 November 28, 2013 (Tony Cartalucci) - Unprecedented protests have taken to the streets in Bangkok, now for weeks, where at times, hundreds of thousands of protesters have appeared. 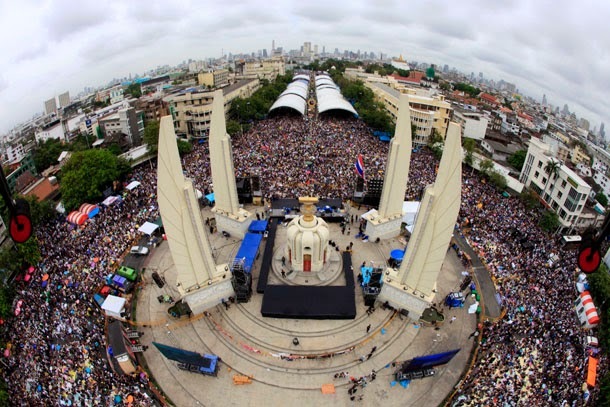 Estimates range from 100-400 thousand people at peak points, making them the largest protests in Thai history. 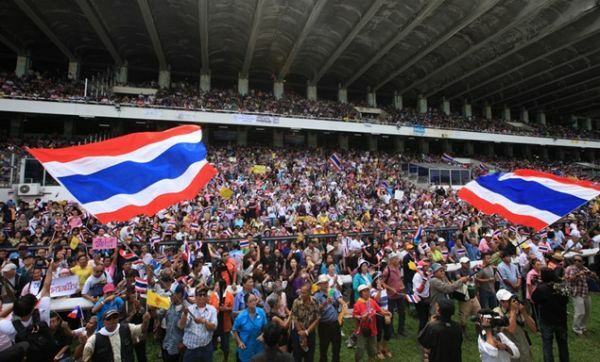 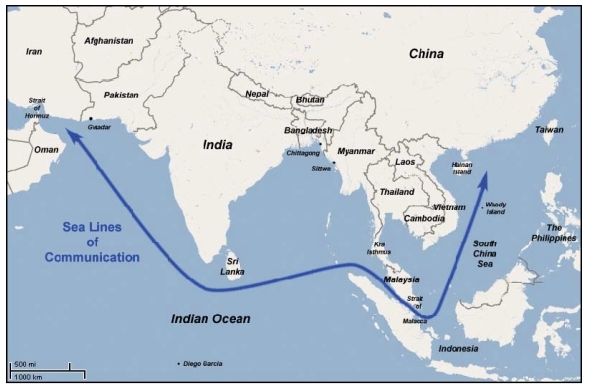 Protests are now spreading outside of the city and into the provinces while the current regime clings to power and its powerful Western allies mobilize their press to defend what they are calling the "elected government" of Thailand. 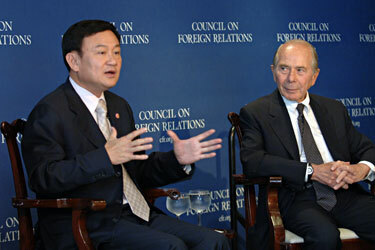 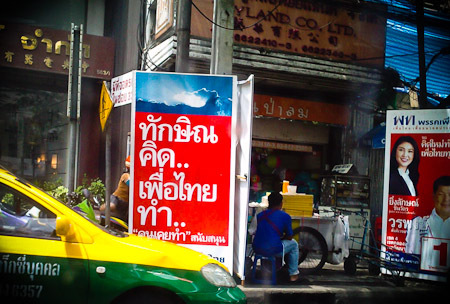 While it is claimed that there is a distinct divide between the middle class and poor in Thailand, and that the latter fully support Thaksin Shinawatra and his populist policies, in reality his party won the 2011 elections with a mere 35% of all eligible voters, and failed to achieve even a popular majority of those who did bother to vote - this even with fantastical campaign promises, rampant vote buying, and organized transportation provided on polling day by Peua Thai's vast upcountry political machine.